OMG Posters! 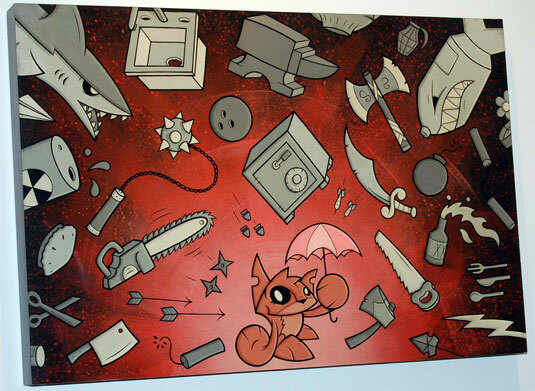 » Archive "Toast #2" Giclee by Joe Ledbetter - OMG Posters! File this one under huge, awesome giclees. Toast #2, offered by Copro Nason Gallery, is an 18″ x 34″ giclee on wood, featuring hand varnishing and hand-painted blood splatters on the side. The edition is 50, the price is $400. To check it out, visit CoproNason.com.